I wasn't going to go out today ... I wasn't going to go out today ... that's what I was repeating to myself as I left my apartment early this afternoon. I knew we'd see a few storms over the Palmer Divide today, but what caught my interest was a weak DCVZ (Denver Convergence & Vorticity Zone) with a couple little circulations on either side of I-70. I decided to target the south end of the boundary where the terrain forcing was better. 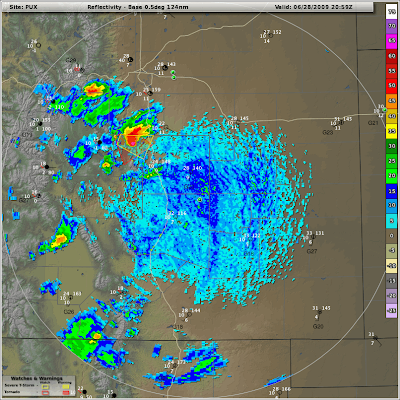 Plus, there were already storms westward from the south side of the Palmer Divide. As I drove south through Parker, I noticed the storm northwest of Colorado Springs was intensifying rapidly. I had planned on sitting in Franktown but soon decided to intercept this storm. Moments after I made this decision, the storm became tornado warned. Here is a radar image of about that time. 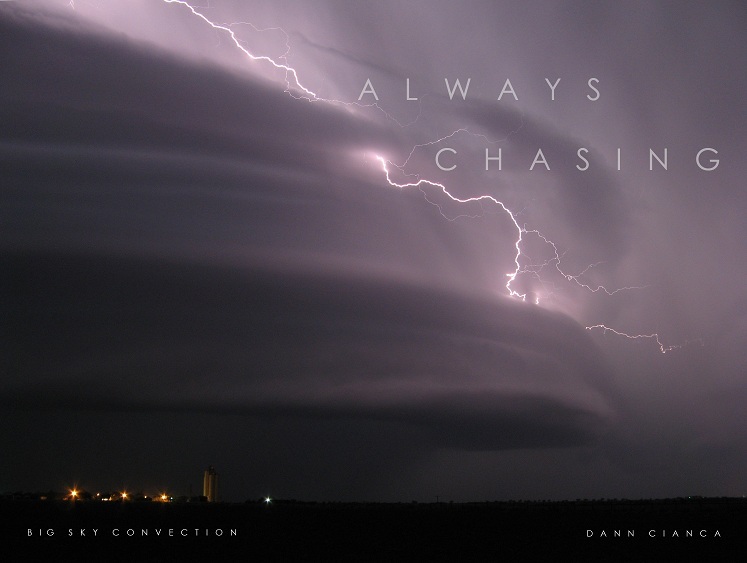 The storm began to right-move into Colorado Springs and I began to doubt whether I'd be able to keep position on it through the urban area. I made the decision to head east into the Black Forest area and then south, cutting down the east side of the city. 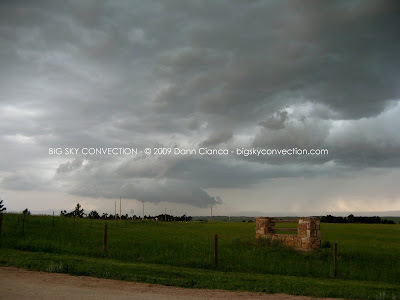 As I did this however, I saw rotation on a weak storm base near my position. Eventually it actually turned into a wall cloud. 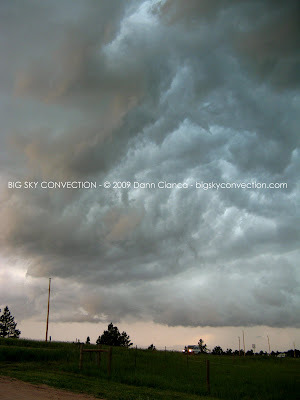 It had to be elevated, however, as I remained in outflow from the original storm the entire time. The vertical motion on the storm-side of the wall was actually pretty impressive, though the rotation in it was weak. Eventually, the forward flank of this newly embedded supercell swept around and I found myself behind its FFD gust front (observing a pretty whale's mouth). I drove south on Meridian Road and then east out of Falcon. The entire complex of storms was rapidly becoming completely outflow, though I did witness another area of rotation just behind me. The storms weakened and I resolved myself to coring the deepest portion near Calhan, but it only gave me rain. It was time to head back toward Denver at this point, but as I rose over the Palmer, I could see the DCVZ actually firing cumulus. On Colorado 86, I turned briefly for a nice rainbow before continuing. 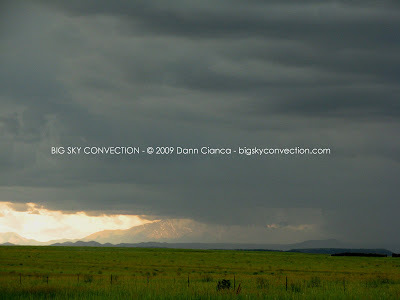 I went north out of Kiowa to keep en eye on the towers popping, but they never really amounted to much. After fooling around on dirt roads in the middle of nowhere, I decided to call it and head home. 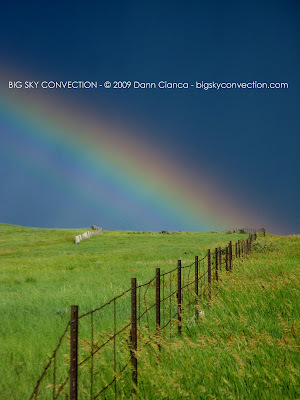 Other phenomena: Rainbow, shelf cloud, wall cloud. 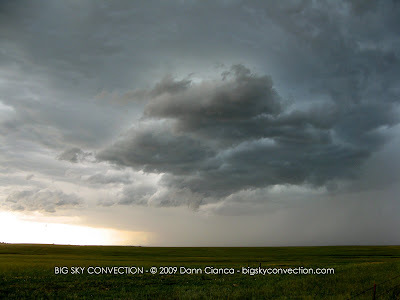 June 17th, 2009 Chase Teaser - Gorilla Hail!! !